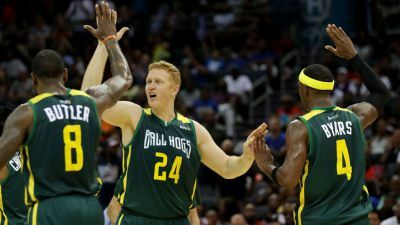 Danny Ainge knew what he was doing when he brought Brian Scalabrine to Boston to play with the Celtics. Now retired as a player, he remains a mainstay in Boston as an TV announcer and analyst. He brings fun with his analysis, and the brief video in the tweet is a classic example.